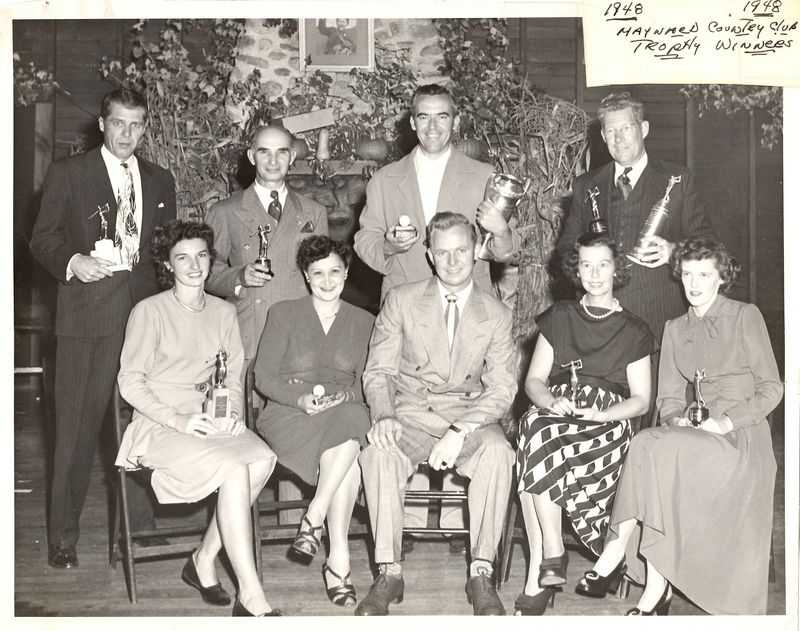 A black and white photo of the Maynard Country Club Trophy winners dated 1948. Normie Snel; Joe Doudrant; Jake Driscoll; Bill Kane. Gladys Watu, Julia Knae, Bernie Tobin, Helen Connors, Loretta Tobin. 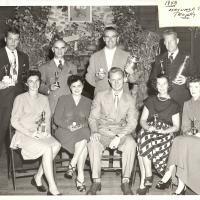 “Maynard Country Club Trophy Winners - 1948,” Maynard Historical Society Archives, accessed April 24, 2019, http://collection.maynardhistory.org/items/show/6604.